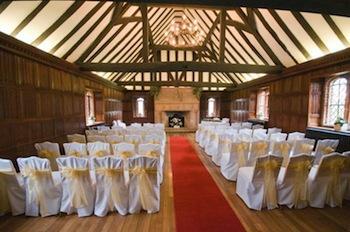 Leez Priory and Gosfield Hall are two of our favourites! oak-panelled gallery with 120-foot long aisle - wow - is perfect for wedding ceremonies and they now have a newly licensed carriage-way which is a gorgeous location for outdoor weddings on sunny days! What's more they have a similar offer to Leez Priory - 12 free nights if you book before Sunday!